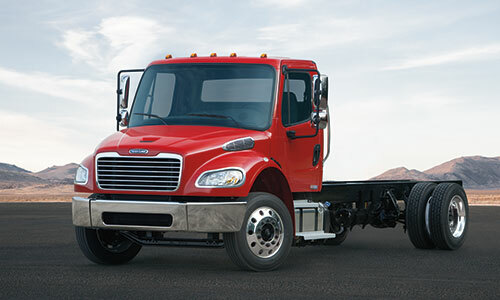 Freightliner® medium-duty trucks offer excellent fuel economy and ease-of-maintenance, resulting in a lower overall cost per mile, and Freightliner food and beverage trucks are no exception, delivering incredible value on every route. 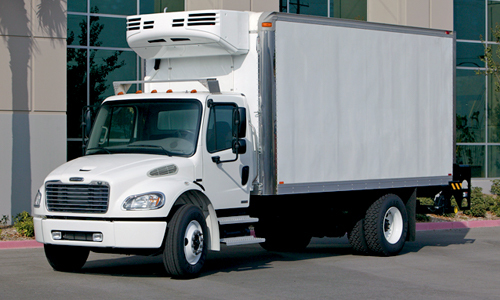 With excellent fuel economy, ease-of-maintenance and a tight turning radius, Freightliner® food and beverage trucks provide a competitive edge to help conquer the demands of today’s food and beverage delivery industry. Visit a local Freightliner dealer to see what sets Freightliner food and beverage trucks apart.